Pairing impressive reach with impressive speed, the Nikon AF-S NIKKOR 400mm f/2.8E FL ED VR is a super telephoto lens characterized by its bright f/2.8 maximum aperture and sophisticated optical, autofocus, and VR systems. Helping to achieve a high degree of clarity, sharpness, and color accuracy, the optical design uses two extra-low dispersion elements and two fluorite elements, which also contribute lessening the overall weight. Individual elements also feature both Nano Crystal and Super Integrated Coatings, which control lens flare and ghosting for improved contrast when working in bright and backlit conditions. And for protection, a front fluorine-coated meniscus glass element that, when paired with the weather-resistant magnesium-alloy barrel, supports working in inclement conditions. A Silent Wave Motor AF system produces fast, near-silent focusing performance that suits both stills shooting and movie recording, which can instantly be manually overridden by simply turning the manual focus ring. Further contributing to photographing in fast-paced situations and difficult lighting, VR (Vibration Reduction) image stabilization compensates for the effects of camera shake by up to four shutter speed steps. 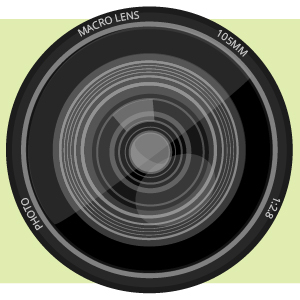 Additionally, an electromagnetic aperture mechanism is integrated into the lens design to provide greater exposure control stability that is especially beneficial when working with faster continuous shooting rates. Super telephoto prime is designed for FX-format Nikon F-mount cameras, however can also be used with DX models where it will provide a 600mm equivalent focal length. Impressively bright f/2.8 maximum aperture excels in difficult lighting conditions and also enables extensive control over depth of field for isolating subjects using selective focus techniques. Vibration Reduction image stabilization helps to reduce the appearance of camera shake by up to four shutter speed stops, benefiting this lens's use in low-light conditions. Additionally, a designated Sport Mode is well-suited to working in fast-paced conditions and a Tripod Mode helps to suppress subtle ground vibrations when working atop a support system. 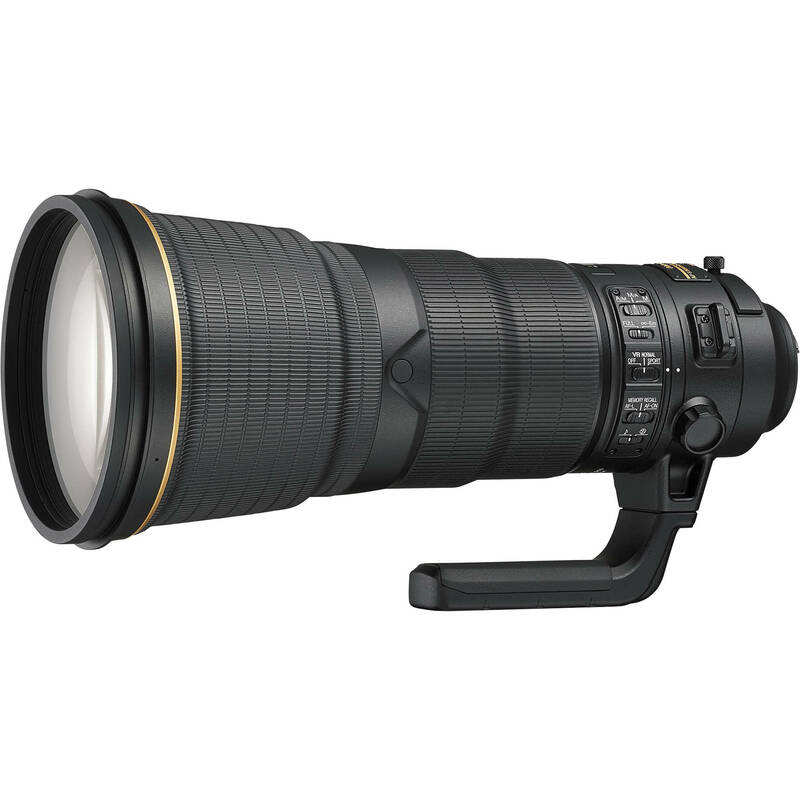 AF-S NIKKOR 400mm f/2.8E FL ED VR Lens is rated 5.0 out of 5 by 22. Rated 5 out of 5 by Call Me Peter from Outstanding telephoto performance For wildlife photography in low light situations this lens does not seem to have a match. Its ability to focus rapidly and generate tack sharp images with beautiful bokeh at fully (or nearly so) open aperture on the D4 and D810 with 1.4x, 1.7x and 2x TCs renders it the most flexible high-performance telephoto lens among all alternatives I can think of. Though much lighter than its predecessor, the lens is too heavy for me to handhold and I therefore use it almost exclusively on a sturdy tripod with the Wimberley WH-200 Gimbal head. 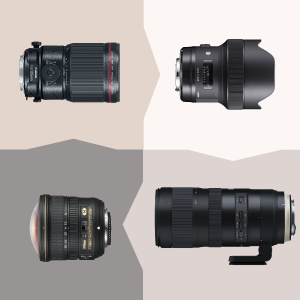 For travel I prefer the 80-400mm, 300mm f/4 or 200-500mm options, all three of which are superb but no match optically to the 400mm f/2.8 FL beauty. Rated 5 out of 5 by Brian NH from Excellent birding lens! I primarily use my lens for birding. The high cost of this lens is not a negative, you know it's expensive and you bought it for a reason. The reason I bought it is that I looked it up on DXOMark and this produces sixteen megapixels on a D7100, the other two contenders, the 500mm and 600mm produce 10 megapixels to 9 megapixels. This means this lens on that body actually works better on my camera. After taking it out on a test run I was able to pick out a band on a sea gull at 25-30 feet. This lens is truly amazing. One letter is less then 12 pixels. This is hand held in a 25 knot wind at 15Deg F and I really am not that stable (good VR to say the least). Rated 5 out of 5 by Bernardl from Pretty much perfect in all aspects I had used a 300mm f2.8 VR prior to moving to the new 400mm f2.8 E FL. I have been using it on a D810 and D750 and am just very impressed by the overall performance of the lens. I have been using the lens to shoot traditional festivals in Japan, very high resolution panoramic stitches and some portrait as well. It excels in all these applications, some pretty non typical for this kind of glass. Image quality is simply breathtaking, similar to the Zeiss Otus 55mm f1.4, with great sharpness, micro-contrast and a total apparent lack of chromatic aberations. VR works great and AF very impressive in speed and accuracy. The weight is manageable considering the type of lens and it works great on my RRS monopod set up. The price is high, but this lens is bound to remain near the top for years to come. Rated 5 out of 5 by Daryl B. from Best Tele Lens I’ve ever owned I’ve been a pro wildlife photographer for 30 years, so have used an array of Nikon pro tele lenses. 300 2.8, 500 f4, 600 f4, 200 f2 plus an array of long zooms. This Nikkor 400 f2.8 is without doubt the finest lens I have ever used. And I use it with all the Nikon teleconverters - 1.4x, 1.7x & 2x with barely noticeable drop off in IQ. If you have the need and use for a long telephoto lens for wildlife or sport do not hesitate if you can afford the $$$. My dilemma now is that I recently acquired the new Nikkor 180-400 with built-in 1.4x. One of them will be superfluous. Time will tell! Rated 5 out of 5 by Carl from Spectacular lens I bought the lens for the f2.8, and the 3 lb weight savings over my 600mm. I know, the new 600mm is about the same weight, but it is still f4. The 400mm is spectacularly sharp, and quicker on auto focus than my 600mm. The 400mm paired with the D500 makes for the same field of view as my 600mm with the D810, and it works well with my 1.4TCIII and surprisingly well my 2.0TCIII. Rated 5 out of 5 by David Brookover from Designed to take you on another journey This new 400mm is breathtaking on so many levels. If you can afford one just buy it. Its that simple. The tonality is very Zeiss like and now that the weight has been cut considerably you can actually carry it around all day and not feel it the next morning. For those sitting on the fence....... time to jump in. Rated 5 out of 5 by Albert from excellent with and without extender well balance for short periid handheld, Excellent optical & VR performance, auto focusing speed is fast but not lightning fast as some reviewers say, dometimes it hunts even with a D4S body and without extender attached. But generally very fast and precise. Whether AF-S Nikkor 400mm f/2.8 E FL ED VR is compatible Nikon D200 Camera ? Try the Jobu Design Replacement Foot for Nikon 600mm f/4 and 400mm f/2.8 Lenses It's just what you are looking for. I am a professional astronomer who will need to buy a bunch of these lenses to observer the entire sky (ASAS-SN project). We need to know what the image quality is, namely so-called FWHM, how do we find out? Our previous version of thsi lesn delivers 12 arcsec FEHM. In order that we may best assist you, please write us with the source of your information regarding your previous lens. provideo@bhphoto.com. Hey i Will ask you if the Nikon 400mm f2.8 do well on the new Nikon d5 I just have bought. And I have also the Nikon 300mm f4 and it is pretty sharp is the 400mm f2.8 sharper ore do you think it is around the same? The Nikon f2.8 and D5 are an awesome team. The D5 by itself is incredible for low light and all other conditions. Recently used it at night in Disneyland to record the Water/Laser shows. Did a amazing job. I also like the D5 with my Nikon 80-400 lens for flexible shooting. Does the 400 f2.8 include a lens hood? It includes a one-piece hood. The lens is superb. What about a filter for protection over the front of the lens? I don't see an easy way to add a filter to the front of the 500mm f/4E lens. And I don't think it necessary. The lens hood should offer a good protection to the front of the lens. The fluoride coating should make it fairly easy to clean off the dust and moisture. What tripod is recommended for this lense and the D810? I mostly use a 4 series RRS tripod with Wimberley gimbal. If I can't manage all that weight, I can get by with a Gitzo GT3540 and a Wimberley Sidekick. Probably something between those two would be perfect. Which foot replacement would you recommend for this lens and why? I am using the Really Right Stuff foot replacement and I am very pleased with it since it is very close to the same profile as the original foot and gives me good clearance on my Wimberley Gimbal Head. I did get the Wimberley replacement foot but returned it due to lousy clearance. I've been using the rrs foot for almost a tear and it works great.